In the early seventies through the mid-eighties, Fisher wood stoves were all the rage due to their innovative “airtight” design developed by Bob Fisher. The design made these the first wood stoves that worked more efficiently and controllable than other stoves on the market that wasted wood, air and heat. Due to advances in technology, Fisher stoves fell out of favor in the mid-eighties and eventually the company stopped manufacturing them in the U.S.
Other than the key feature of the airtight welding, all models of Fisher stoves include heavy 1/4 inch steel plate, 5/16 inch thick tops and 22 gauge cold rolled steel shield material. 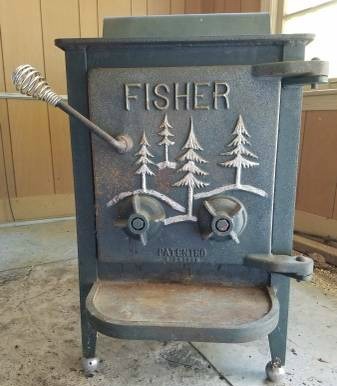 Early models of Fisher stoves have doors made out of heavy steel construction and customers had choices in several finishes including brass, cast iron or nickel. Later models added the choice of glass doors. 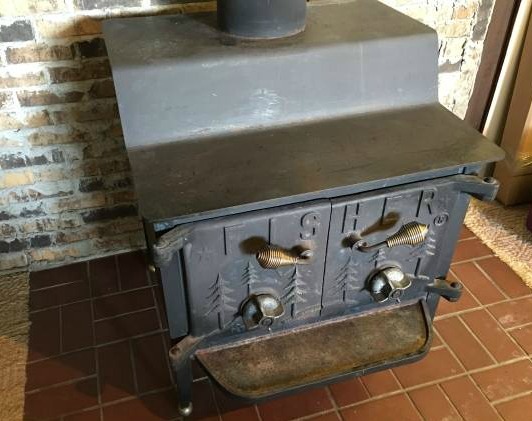 Authenticating an original Fisher wood stove is easy by looking at the door. Since Bob Fisher did the manufacturing of the doors himself, an authentic stove will say “Fisher” on the door. The stove body was outsourced to licensed manufacturers. The first models of Fisher wood stoves were the Bear models that required the use of a chimney. There wasn’t a “bear” name given to any stoves designed to be used inside a fireplace or hearth and were known only as Fireplace Inserts. Later, Fisher developed freestanding pedestal-type stoves and some of these were approved for use inside mobile homes. The Bear series were a very popular stove and many of the stoves are still in use today. In fact, a very good friend of mine still comfortably heats his 1200 square foot home with a fireplace series stove that was purchased new in the early 1980's. Since they were constructed with solid study materials, many of these old stoves are in great condition. Bear series stoves have a single door and a 6 inch flue. Papa Bear: First stove manufactured in the series, two air intakes, handles logs up to 30-inches, heats 2250-square feet. 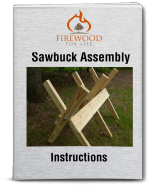 The stove weighs 486 pounds with a front door measuring 10 inches wide by 11 inches tall. Mama Bear: Second stove in the series, two air intakes, handles logs up to 24-inches, heats 1750-square feet. The Mama Bear stove is slightly smaller than the Papa Bear weighing 410 pounds with a front door also measuring 10 inches wide by 11 inches tall. Baby Bear: Third stove in the series, one air intake, handles logs up to 18-inches, heats 1250-square feet. The Baby Bear holds up to its name as the smallest of the three stoves weighing only 245 pounds with a front door measuring 8 inches wide by 9 inches tall. The fireplace series shares the same concepts as the Bear series but it features a double door with an 8 inch flue. The double doors when used with a fire screen allow the wood stove to be used with the doors open so you can enjoy the fire inside. Grandpa Bear: Measures 29.5-inches across top-plate, six firebricks wide, handles 24-inch logs, heats up to 2250-square feet. The Grandpa Bear weighs 454 pounds and has a door opening of 22 inches wide by 11 inches tall. Grandma Bear: Measures 25.5-inches across top-plate, five firebricks wide, handles 20-inch logs, heats up to 1750-square feet. Slightly smaller than the Grandpa Bear, the Grandma Bear weighs 406 pounds with a door opening of 17 inches wide by 10.5 inches tall. XL: Largest model with two doors, 10-inch flue, and heating an area up to 3000-square feet. Fireplace Inserts were originally available with solid cast iron, brass and glass doors, heating areas up to 2000-square feet. A smaller insert developed later had the same type of door selections as larger models. Honey Bear Insert: Heats an area up to 1200-square feet. Polar Bear Insert: Used for zero-clearance or fabricated metal fireplaces or hearths. Goldilocks: First pedestal-type Fisher wood burning stove, approved for mobile home use, handles logs up to 16-inches, outdoor intake through center pedestal, with no intake through the doors. Honey Bear: Manufactured in 80s, handles logs up to 17-inches, outdoor intake, mobile home and HUD approved and with glass and brass doors. The Honey Bear has a heating capacity of 1250 square feet and weighs 240 pounds. With Fisher stoves no longer manufactured here in the U.S., locating replacement parts can be difficult. This can make repairing any of the units difficult and expensive. 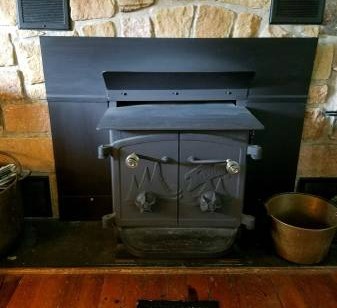 With Fisher’s built to last, old stoves do pop up for sale on online market sites and at flea markets and such, so with enough research you can probably find an old stove. It is important to note that Fisher wood stove models manufactured before 1980 do not meet current safety regulations and some insurance companies won’t insure a home using one. However, most models manufactured after that date do meet current standards of safety, though not current EPA regulations on pollution. In fact, some jurisdictions have outlawed the stoves due to safety and environmental regulations.